UNIGEAR External Hard Drive Case The UNIGEAR Hard Carrying Case for portable hard drives is a durable protector for your portable Seagate or other hard drive. Designed especially to fit External Hard Drives , this soft-lined case features an inner mesh compartment for a USB cable and accessories. Durable Exterior and Soft Interior This durable and stylish carrying case for hard drives offers a tough exterior that protects your portable hard drive from bumps and jostles. Additionally, its soft liner keeps your hard drive's case free of scratches. Convenient Inner Mesh Pocket The case features an inner mesh pocket for a connecting USB cable or accessories. The case design makes it easy to insert and remove your portable hard drive, which is ideal for when you're on the go--and the inner mesh pocket lets you conveniently store the cables needed to connect your hard drive when you need immediate access to your data. Maximum Protection - EVA Shell: This hard drive protection box with high quality material is ultimate bodyguard for your hard drive. 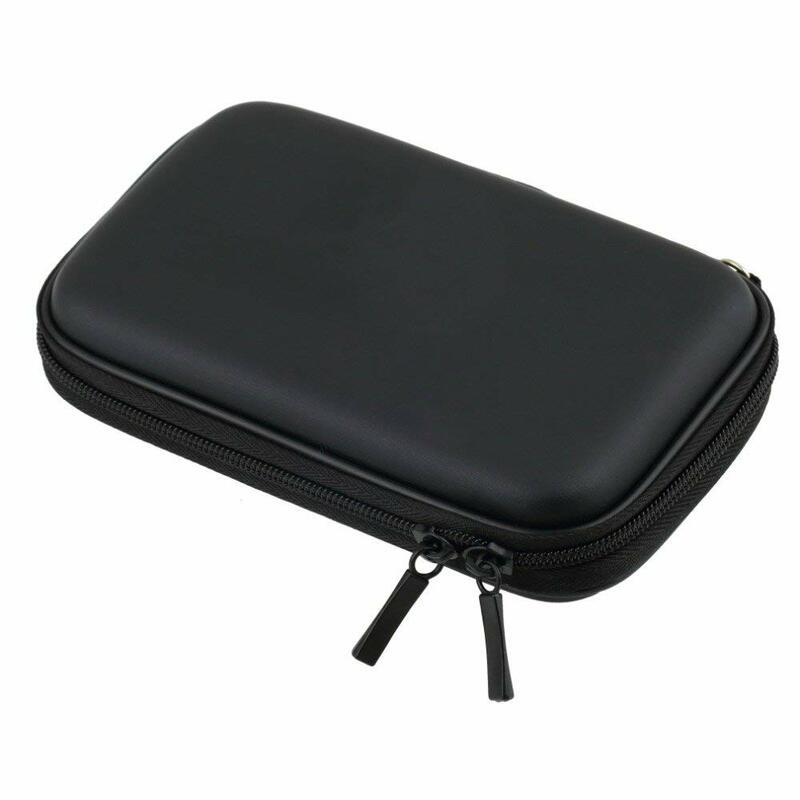 This HDD case travel pouch for hard drive is a good option to ensure the safety of your storage device. Features: Zip it up and protect your device from dust and scratches Includes a lanyard allows you to carry your case on your wrist Protects your device from accidents during daily usage. Durable all around zipper holds your device securely in the case Inside compartments allow for easy storage Anti-shock design provide you with a good protection of SATA or IDE hard disk Package Includes : 1 x UNIGEAR Hard Disk Case Comaptible For: WD Elements/ WD My Passport Ultra/ Seagate Back Up Plus Slim/ Transcend StoreJet/ Toshiba Canvio Basics and Compatiblity with Western Digital, Seagate, Sony, Transcend, ADATA, Hitachi, iomega, Toshiba, Dell, Lenovo, HP and other 2.5 Inch Hard Drive Disk.